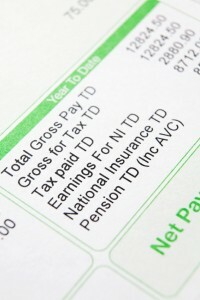 Real Time Information is a new system that is being introduced by the HMRC to fundamentally improve the operation of PAYE (Pay as You Earn) Currently PAYE return process is a manual procedure that happens annually; it is prone to error and inaccuracies – employers only find out at year end if they have deducted the correct amount of tax during the year. RTI will result in this information being collected regularly when employers submit their payroll submissions. The current PAYE system has been in place since it was introduced in 1944 making it 68 years old; operating unchanged and is the method used by employers to pay income tax and national insurance contributions (NIC). 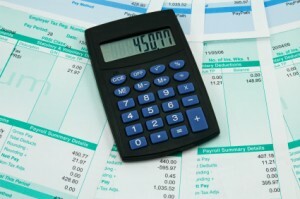 Employers deduct payments from employees’ pay each week or month and for a large part; the current system works for the majority of employers and employees. However, it has become prone to error, fraud and inefficiencies making it difficult for the HMRC to identify errors and assist employers and employees’ to resolve problems in a timely manner. The RTI system will require employers to send data about PAYE, NIC and student loans every time they pay their employees rather than with their end of year tax return. Simple. RTI should enable HMRC to respond to errors, improve the accuracy of payroll and reduce the probability of fraud. The government wants transparency of financial status and RTI will consolidate and automate tax reconciliations for individuals. It should reduce administrative costs of PAYE by phasing out annual employer returns and removing the need to submit P45 or P46 forms. RTI will prevent identity fraud, reduce errors and overpayments in the current benefits and tax credits system which will ensure that individuals are taxed correctly through PAYE. Small businesses will struggle to implement real time reporting the Public Accounts Committee has warned the HMRC; who must or will have to find a way of supporting businesses that do not have electronic payroll systems in place. Approximately 94% of employees receive earnings electronically but small businesses without electronic payroll systems and self-employed don’t submit monthly data to HMRC. How the HMRC intends to manage these employees is yet to be worked out. Instead of submitting information once a year at Payroll Year End, employers will submit information electronically to HMRC for PAYE, NIC and student loans every time employees are paid. RTI will be phased in from April 2013 and will be mandatory for all employees from October 2013. To get your software right you will need to ensure your payroll provider is compliant so you can submit additional RTI information required along with Bacs payments. Small companies will have access to the HMRC’s basic PAYE tools which will work with RTI free of charge. Name must be your full name and official forename(s) surname; no initials and in the correct order. Date of birth must be given in the format “DD/MM/YY”. National Insurance Number (NINO) must be given as two letters, followed by six digits and end with a letter which will be either A,B,C or D.
With every business in the UK expected to commence migration to RTI between April 2012 and October 2013 it makes sense to prepare your business. Taking control and adopting RTI early will enable you to understand what the impact is likely to be on your business and its payroll practices, ensuring that you continue to pay your employees and HMRC on time. What do you think of RTI? How do you think its going to affect you? Who will pay for RTI? Is RTI the Government’s way of getting much needed revenue into the treasury quicker than the current PAYE? Drop by and leave a comment in the comment box below; we love to hear your opinion! If all this all sounds like too much hard work or worrisome then contact Digital Print Management for independent and impartial advice on how to outsource your payroll. Follow us on twitter, like us on facebook and join us on linkedin and google+ or subscribe to receive our updates straight into your inbox! You’ve now taken the unprecedented decision to outsource your payroll function. 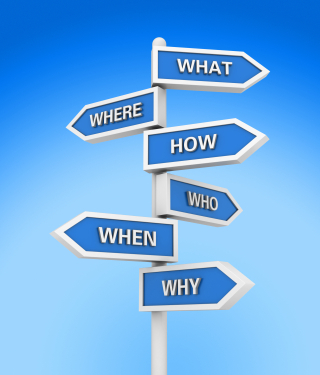 The next step is to find a payroll provider that can faciltate your requirements? 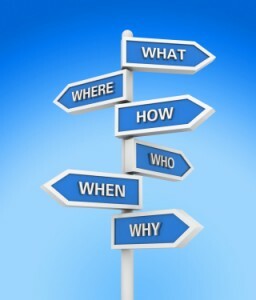 Not so, when you are unclear or uncertain as to what you are looking for and what you need to look out for! You only have to google payroll bureau and a whole host of names pop up from the small to the large service providers and that’s where it gets sticky because do you have the time to search, research, evaluate, tender, set up visits to establish creditability then make a decision. All told, the process might take you anything from 2-6 months and that is a conservative estimate. Small (1-50), medium (50-150) or large (150+) employees on your payroll will help determine the type of bureau you select to work with. Expertise – does the payroll provider have relevant industry expertise to manage your payroll efficiently? Flexibility – can they offer solutions tailor made to fit with your requirements and not a box that comes pre-packed and one you need to fit in? Technology – can they offer online pay slips, paper slips or a combination of both? Can they manage multi-channel distribution? Does their system offer the flexibility to integrate with yours? What reporting functionality are you likely to get with each payroll run? Ask for sample reports and payslips both on and offline so you get to see the quality of the output. If you have a need for both paper and online slips how are the paper slips being printed – pressure seal (without envelopes) or A4 folded and inserted into an envelope establish the quality. Find out if the cost of postage is included. There are a host of mailing discounts available via the Royal Mail and DSA (downstream access) which your payroll bureau should be able to offer. One final thing – let your payroll team be instrumental in the project after all they will be the people managing some or all of the process going forward. What type of payroll services will you need? How do you then manage the process? Project management is paramount. Any business process that integrates with the payroll function needs to be considered such as HR and Finance. A pay calendar or schedule is imperative for the bureau to determine cut off times and when data will be made available to the bureau for processing. This must include BACS transmission dates, pay dates and the physical distribution of the pay slips. During the migration phase the payroll system will need to be tested to ensure data integrity, compliance and accuracy with the current system. This process is usually tested over a 2-3 month period where parallel runs will be done by the payroll bureau and measured for accuracy against the current system. Digital Print Management are independent of any manufacturer, I.T. solution provider and print supplier. 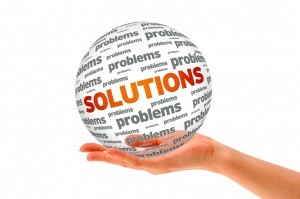 As a solutions and print management specialist emphasis is on understanding the customers requirements and not trying to sell them something which doesn’t cut the mustard in the long term. Put simply we offer a free consultative, no obligation approach to helping customers who are overwhelmed by the prospect of outsourcing any business process. Processing and printing or the complete function of a department. We are here to help so please do call us or leave a message and one of our consultants will be in touch. 10 reasons to outsource your payroll. There are a number of reasons why outsourcing your payroll can be a cost effective option for you by optimising a payroll services company. Firstly, it affords the opportunity to drive down operational costs and remove inefficiences within the payroll department. A decision to outsource any business function is a result of various internal and organisational pressures such as the lack of skilled personnel suitable to handle the task and to keep control of costs. In the current economic climate companies face increasing pressure to keep up to date with new technologies, legislation and organisational change at the same time having to streamline some of their internal business functions and processes. 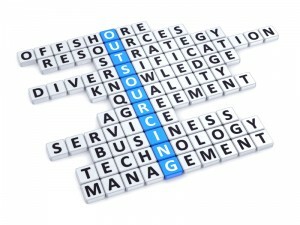 Why use an outsourcing payroll service? Cost – even before you consider outsourcing your payroll function you need to know what it is costing you to process in-house. How many hours are spent engaged in payroll activities? This must include the cost of labour, technology, office space, stationery, printing and postage. The more manual the process the more people that are required to maintain and administer the function. Productivity – payroll management is a time consuming activity by outsourcing this function employees can focus on productive activities focussed on the business. The more you automate the process the less people involved in the pay roll cycle. Accuracy – Payroll mistakes can result in angry and worried employees. A good payroll bureau is far less likely to make errors because it is their job to provide accurate payslips. Reliable service – Outsourcing to a bureau won’t be impacted by staff illness and holidays therefore the output speed and quality will be constant. Neither will you have to spend time helping new employees learn your payroll system. Speed – payroll bureau are designed to speed up the process of payroll printing and distribution as specialists they have technical resources enabling them to process payroll quickly and cope with on going changes within an organisation such as seasonal or temporary workers without having to upgrade systems. 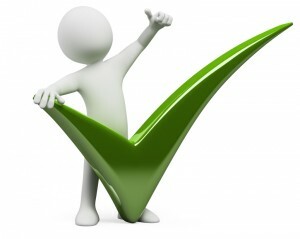 Expertise – a payroll bureau will have the expertise to provide the services you need irrespective of industry sector. Accountability – it becomes the payroll service providers responsibility to ensure your payslips are accurate, comply with HMRC and tax regulations and are distributed on time. Technology – a payroll provider will keep up to date with new technologies and software ensuring that you don’t need to make additional investment in-house as they invest so you benefit from increased efficiencies. Flexibility – by being able to meet your needs overtime as requirements change and your business expands. Security – working with a carefully selected payroll provider frees you from worry associated with possible abuse of the payroll function by employees and if it’s on time and accurate! 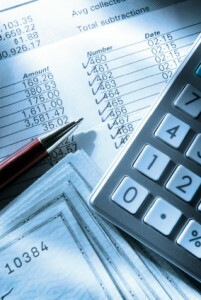 How to manage the process of outsourcing your payroll function? Please do subscribe to our updates by clicking on the orange button.